The popular singer, Bruno Mars will travel around the world before he will arrive to the capital of Spain, Madrid on 15 November 2013. Probably it won’t be easy the several months tour for him, but he will definitely work with full power and he will entertain his gathered fans with his music with the greatest joy in Madrid. Bruno Mars has the music in his blood. He was born as Peter Gene Hernandez in 1985 in the capital of Hawaii, Honolulu. His father played on Latin drum instruments and his mother was a hula dancer. He has five siblings, and everybody deals with music in the family. Mars plays for example on guitar, bass guitar, drums and keyboards too, however most people know him as a singer. His first album released in 2010, it was the Doo-Wops & Hooligans. He got a Grammy Award in the Best Man Pop Singer category for one hit of this album. 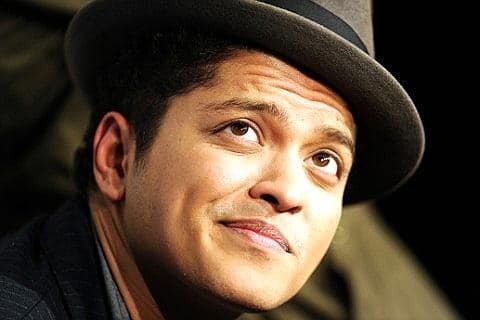 After his early successes he released his second album in 2012, the Unorthodox Jukebox, which has same, if not bigger success, than the first album. Bruno Mars is not just versatile musician, but well-known music producer and song writer too. He worked for example with Flo Rida, Ke$ha and Adam Levine too. To celebrate the release of the Unorthodox Jukebox, Bruno Mars will start a monumental worldwide concert tour in this year, 2013, and the last station will be the Palacio Vistalegre stadium in Madrid on 15 November 2013. Do not miss the last great concert experience of the autumn! Have fun!